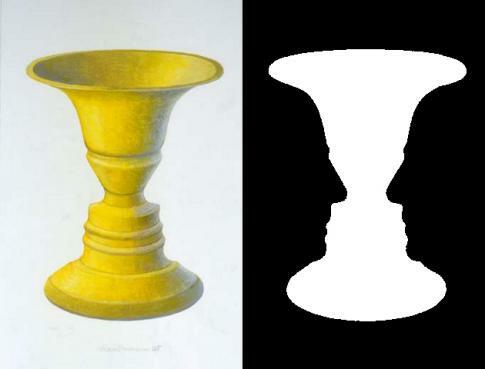 So, is it a vase, or two faces? so what is the back ground of this illusion? wow. thats a real object or 2 people. So thus we have an optical illusion. i love optical illusions. fun mind-binding puzzles. This is so common. Don't you have a new one? I want a really mind bursting illusion. hat is the term use for this form of illusionary art? OK now I did not see that coming!!!!! !